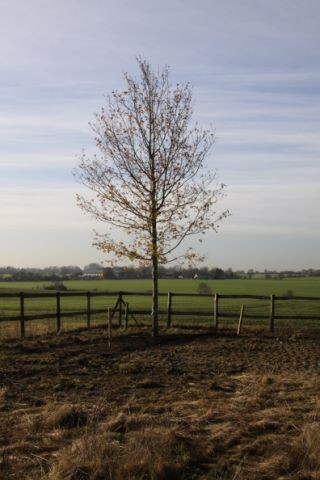 Our Client had cleared the site for a new build ‘eco’ property. 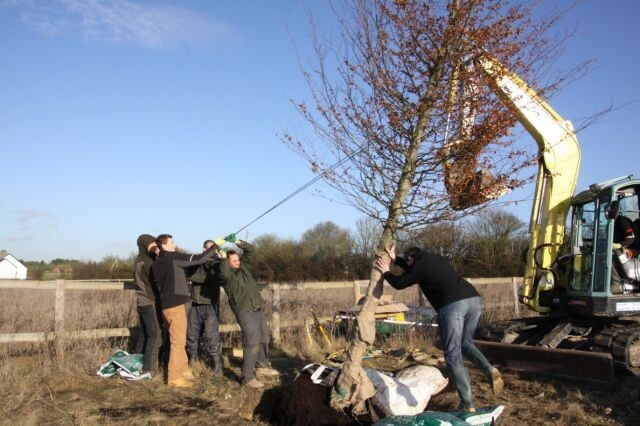 We planted two new semi-mature trees, an Oak and a Beech. 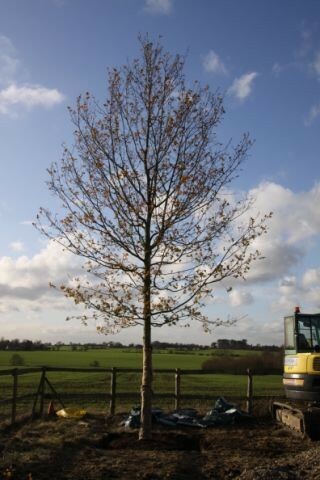 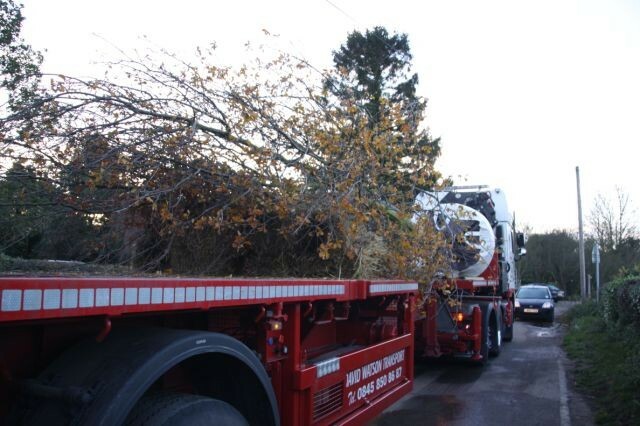 Both trees were container grown and from a trusted supplier. 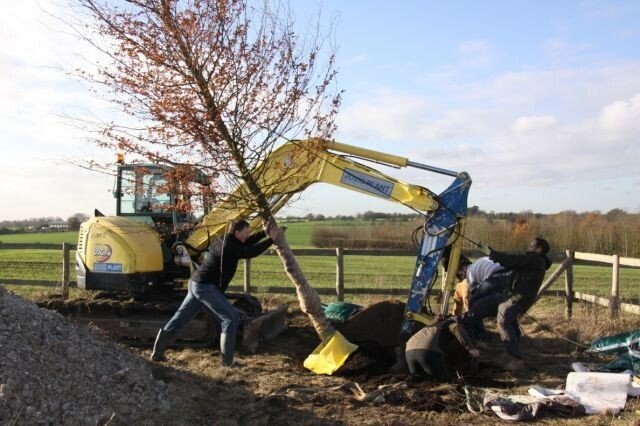 The trees were planted – after a considerable amount of tricky manouvering – and then supported by an underground ‘guying’ system. 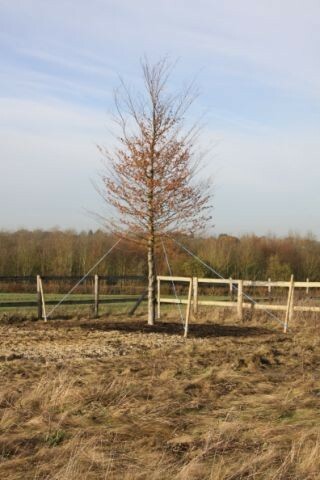 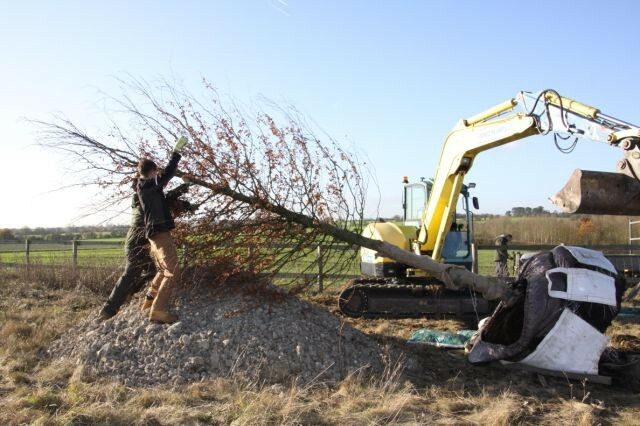 The trees were planted in December 2011 and have stood up very well to the gales over the Christmas period.